As a Big Brother fan, last week was a good week for me. #BB17 is trending on Facebook right now. A special Tuesday eviction episode aired in which the season’s most powerful couple (“showmance” Austin Matelson and Liz Nolan) were finally separated at the Final Five. 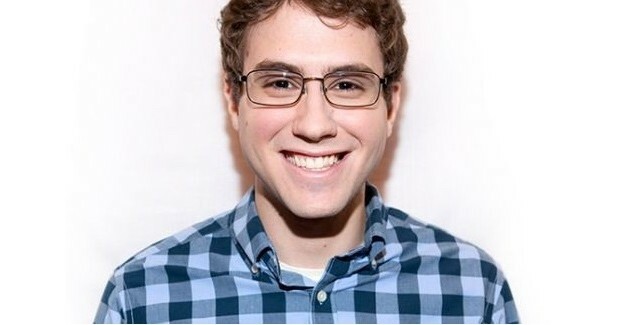 Steve Moses won Head of Household, and after the eviction of fan-favorite John “Johnny Mac” McGuire (who had previously been evicted from the game but won a competition to return to it) that leaves three houseguests still in the game, Liz, Vanessa Rousso and Steve. And I was able to score an interview with Big Brother 15’s own Nick Uhas to discuss it all. Knowing that I was going to be a writer at The Buzzworthy, I planned to write at least one piece covering Big Brother; desperately ambitious, I reached out to as many alum as I could, and Nick rode in as a knight in shining armor. We set up an interview time, I spoiled the most recent episode for him, he taught me how to use Google Hangouts, and then we got to the juicy part: talking about Big Brother 17, which is leading up to an unpredictable finale on September 23rd. Check out the link to my interview with him (https://www.youtube.com/watch?v=7Q0U70HNqDw), and if you’re interested in making it on to the show yourself, make sure to check out Nick’s video on auditioning! (https://youtu.be/Oo8CMCB077U) Make sure to give Nick a follow on YouTube and Twitter, too because he’s definitely one of the coolest, most clever and creative guys I’ve interacted with in the world of reality TV. Now, it’s time to talk Big Brother, and just a heads-up: if you don’t watch the Live Feeds and if you haven’t been keeping up with the show, you’re about to be spoiled. When we last left off, Austin was just evicted at the hands of Vanessa and Steve went on to win Head of Household. Since then, Steve nominated Johnny Mac and Vanessa for eviction, but he then threw the Power of Veto competition to Vanessa. Vanessa will use the Veto on herself during Wednesday’s live eviction episode, giving her the power to cast the sole vote to evict either Johnny Mac or Liz. We saw Johnny Mac walking out the door – he was Vanessa’s target when she was in power last week before he saved himself with the Veto, and reason stands that she wanted to finish the job with the cards in her hands. That being said… Vanessa is not a reasonable player. She’s motivated solely by paranoia and consistently overplays her hand. While I expected her to finish off Johnny Mac, there was also every chance she would turn around and evict Liz. Having just betrayed Liz by evicting her boyfriend Austin, it seems unlikely that Liz would be willing to take Vanessa to the Final Two, and Vanessa is nothing without her Final Two deals. But uncertainty is high when there are only three players in the house. Liz – Liz has had a lot two unbreakable duos and yet, somehow, she and her allies managed to escape being targets week after week. She won Head of Household three times, brought her twin into the game without having so much as broken a sweat, won the Battle of the Block while her partner was attempting to throw it to get her out, and formed a bond with Vanessa that was based on mutual cowardice to break out. Things were looking good for Liz until three weeks ago her twin Julia was evicted from the game, and until last week, when her boyfriend Austin left, leaving Liz isolated. Currently, no one is planning to take Liz to the end of the game, and she might be leaving if Vanessa grows too concerned about her motives. Despite this, Liz almost certainly will win the game if she gets to the Final Two. It would take a couple of small miracles for her to pull it off, but Liz has the right combination of friends on the jury and a demonstrable résumé to make her the most dangerous candidate to sit next to. I would say that Liz wins 100% if she gets to the end, but because it’s so unlikely to happen, Liz gets odds of 25:1. Steve – Steve has guaranteed himself a spot in the Final Three, and he stands a decent shot at winning the Final Head of Household. He’s athletic enough to win either the endurance or physical competition, and after that, he’s amassed enough knowledge as a super-fan to stand a chance of winning the mental competition. But even if Steve gets to the Final Two, his chances of winning are a bit questionable. He has friends on the jury which is a huge plus, but he’s also made many, many questionable game decisions. He targeted people who weren’t coming after him during his first Head of Household reign, he’s stuck by Vanessa and refused to turn against her despite countless opportunities, and on several occasions he’s given up information that ended up hurting him in the long run. Steve might be the “smartest” of the remaining Houseguests, but he probably won’t garner the respect he deserves, especially if he is sitting next to Liz or Vanessa. Steve has several support votes waiting for him in the jury house, but with an uphill struggle in the finals with Liz or Vanessa, Steve gets odds of 15:1. Vanessa – Vanessa has been the most fascinating player this season of Big Brother. Hailed by many to be a front-runner assured to win the game if she reaches the end, I’m uncertain. Vanessa certainly has made the biggest moves and worked the hardest to secure her position, but most of the moves she made were done the wrong way, and some of her hard work was not only unnecessary but ended up hurting her. Vanessa constantly reminds the other Houseguests that she plays with “honor and integrity,” but a fairer summary would be that Vanessa plays with desperation and paranoia. She’s off the rocker at every turn, changing her stories and targets from one second to the next – weeks ago, she’d tell one person she wanted to keep Johnny Mac in the game, and twenty minutes later be explaining why he needed to go home! Vanessa has won many competitions this season, including the most Head of Households out of all the remaining contestants, but she’s also been called out by the other HouseGuests for her patented style of going on a crusade to find “the reason” to nominate her target for eviction, followed by the crocodile tears that would come later, cited by her fellow contestants as a ploy used to escape blame. Vanessa has been a key player in instigating several huge movements, but Vanessa irritates the contestants in the process by bullying her way to get information, throwing deals on the table but including loopholes in them so she can betray her allies while still maintaining her “integrity” – she’s played smartly but not efficiently, and Austin, while walking out of the house, told Vanessa that she would be unable to win the game because of it. I agree with Austin on some levels, but Vanessa has still played the strongest game, even if it is the most confusing, unreasonable, and inconsistent game I’ve ever seen. If the other players can look past Vanessa’s obvious faults, it’s going to be tough for her to be opposed, and with all the work she’s put in when it comes to making Final Two deals, there’s some crazy possibility that she just might make it to the end and win it all. Vanessa gets odds of 5:1. Now that the first portion of the Head of Household competition begins, it’s frustratingly hard to speculate what comes after that because this eviction is so uncertain, and the steps that come after it are even more uncertain. Big Brother 17 is coming to a close, but for its final week the HouseGuests are giving us one more wild ride. I can’t even begin to imagine what’s coming next… and I love it. Your summations of all 3 were right on target. To go further Van knows she cannot beat Liz and would portray Steve as a weak gamer. Her competitve manipulation s and compitition conquest deserves her a win however your summation of her game over play will loose her the game.